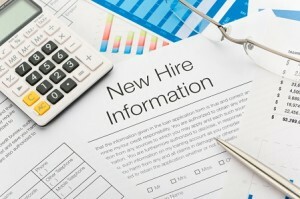 No employer wants to run afoul of new hire paperwork rules. But to ensure compliance, HR needs to be aware of the many state rules that go beyond federal law, including posting requirements plus certain paperwork and written notices that employers must provide to new hires. These requirements are in addition to mandated federal paperwork and notices that must be provided, such as the Form I-9. Paperwork requirements are especially challenging for multistate employers. This is compounded by the fact that model state notices are not necessarily available for every paperwork requirement. As a result, an employer may need to create its own notice. However, even if a model notice is available, these notices are updated regularly. Thus, employers must stay current with developments in every state where they have employees in order to ensure they are using the most current notice available. However, it is not always easy to determine notice effective dates or where to locate the state required notices. For instance, the provisions of California’s paid sick leave law that specifically allow employees to accrue paid sick time did not take effect until July 1, 2015. A less-informed employer may have believed that July 1 was when the notices must be distributed. However, the notice provision became effective on January 1, 2015 and the California Department of Industrial Relations, Division of Labor Standards Enforcement released an updated California Notice to Employee, Labor Code Section 2810.5. Employers therefore must tread cautiously when tracking these laws. In addition, not every format is necessarily acceptable. For instance, some state laws permit electronic formats. However, for those that do not, it makes it more challenging for employers with employees who primarily work remotely. In addition, certain written notifications may need to be translated in a language other than English if a certain percentage of the employer’s workforce speaks that language. Colorado (beginning August 10, 2016), Delaware, Rhode Island and the District of Columbia all require covered employers to provide a notice to new hires of the right to reasonable accommodations for conditions related to pregnancy, childbirth or related medical conditions and to be free from discrimination. Vermont (effective January 1, 2017 and January 1, 2018 for employers with five or fewer employees). California, Massachusetts, Rhode Island and Vermont all require covered employers to develop and provide a sexual harassment policy to new hires. California’s requirement went into effect on April 1, 2016, and extends beyond sexual harassment requiring that the policy include discrimination and retaliation prevention as well. Expecting employees to work through legally protected breaks. California, District of Columbia and New York’s wage laws all require that employers provide written notice to new employees, which includes the name and address of the employer as well as the employee’s pay rate and the employee’s regular payday. Employers that fail to provide new hires with these state-required paperwork and notices could face penalties. For instance, New York employers that fail to provide the wage theft notice are subject to a penalty of $50 per day for each violation, up to $5,000. Meanwhile, a Delaware employer that fails to provide the pregnancy accommodation notice could be subject to a fine of up to $100 per violation. Although it is a challenge to keep up with these paperwork requirements and the risk of noncompliance is high, a new XpertHR Chart places all of this information at your fingertips. 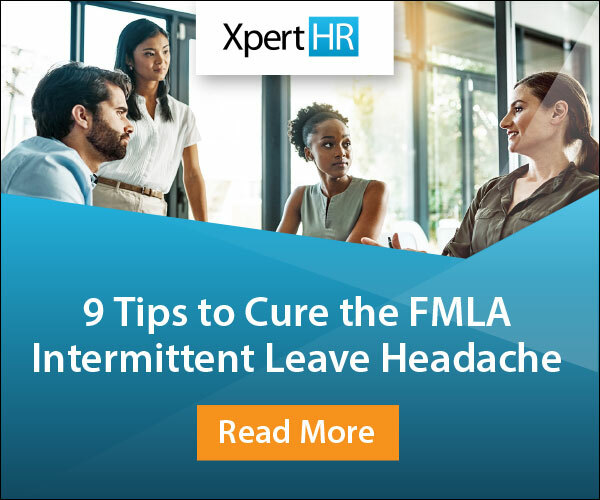 This one-stop shop will help your company stay compliant with these notice requirements in an easy to follow format by highlighting these legal trends.